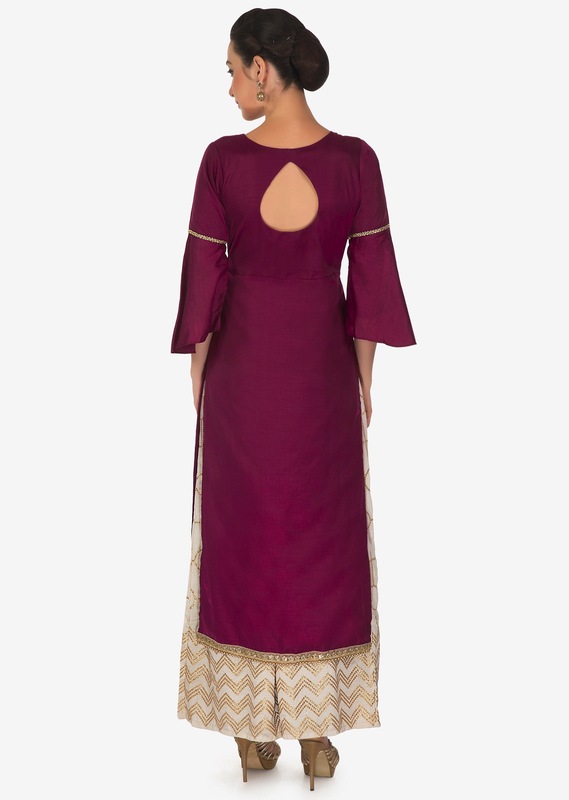 Maroon straight suit featuring in raw silk. 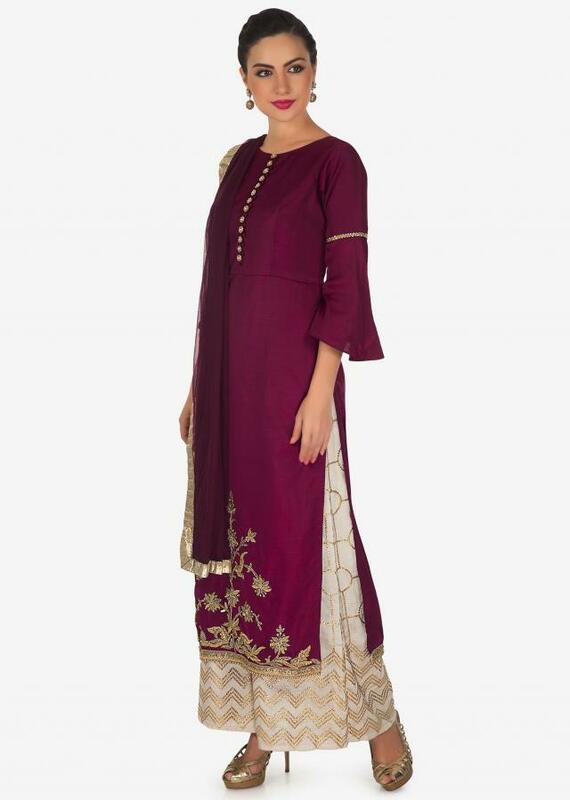 Hem line is embellished in zari embroidery along with fancy button on placket. Matched with palazzo pant in cream and maroon net dupatta with lurex border.